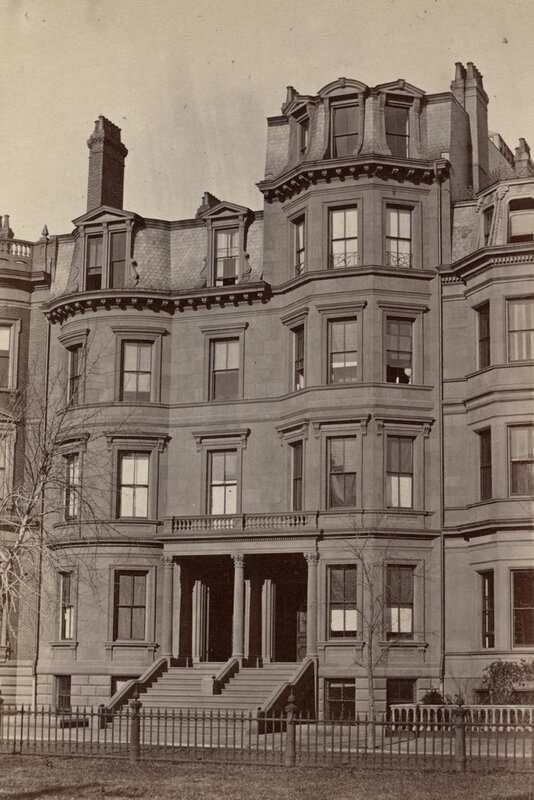 The John Hancock House on Beacon Street in Boston, around 1860. Image courtesy of the Boston Public Library. This grand mansion was built in the mid-1730s for Thomas Hancock, a wealthy Boston merchant. At the time, Beacon Hill was on the outskirts of Boston, and this house was the westernmost one on Beacon Street. Here, Thomas and his wife Lydia created what amounted to a country estate, with gardens, orchards, and pastureland that extended up the southern slope of hill, and was directly across the street from Boston Common. Despite the pastoral setting, though, the was within easy walking distance of Boston’s wharves, where Hancock conducted his business. The house itself was built of granite, and was an outstanding example of Georgian architecture, complete with a balcony that offered sweeping views of Boston and the the surrounding harbor. Thomas and Lydia had no children of their own, but in 1744 Thomas’s brother John died, and his seven-year-old son, also named John, moved to Boston and lived here in this house. After graduating from Boston Latin School in 1750 and Harvard College in 1754, John Hancock joined his uncle’s firm, eventually taking over the business after Thomas’s death in 1764. Along with the business, he also inherited his uncle’s estate here on Beacon Hill, and he went on to live here for the rest of his life. John Hancock went on to become one of the most prominent Patriots in the years leading up to the American Revolution, and in 1774 he was elected as a Massachusetts delegate to the Second Continental Congress. From 1775 to 1777, he served as the President of the Continental Congress, and it was in this capacity in 1776 that he famously signed the Declaration of Independence. Following his time in Congress, he briefly served in the war as a major general in the Massachusetts militia, and in 1780 he was elected as the first governor of Massachusetts. Widely popular, he easily won re-election every year until 1785, when he resigned due to ill health. Later in 1785, James Bowdoin was elected as his successor, but his two years as governor were marked by a failing economy and a poor response to Shays’ Rebellion in 1786-1787. As a result, Hancock ran against him in the 1787 election and won easily, and he went on to win re-election every year until his death in 1793. During this time, he pardoned those involved in Shays’ Rebellion, and he was also an influential proponent of the U.S. Constitution, which was narrowly ratified by the state in 1788, probably thanks to his support. In the absence of an official governor’s mansion, Hancock’s house served that purpose well, and he received a number of distinguished visitors here, including the Marquis de Lafayette in 1781 and George Washington in 1789. By the time John Hancock died in 1793, this house was no longer at the outskirts of Boston, and Beacon Hill was in the process of being transformed into an exclusive neighborhood of elegant townhouses. Portions of the estate were steadily sold, including land to the east of the house, which became the site of the Massachusetts State House. Other parcels were sold for new homes, and by the early 19th century the house was surrounded by more modern homes. Hancock’s widow, Dorothy, had remarried in 1796, and she lived here in this house until 1816. The house remained in the family, though, with John Hancock’s nephew, also named John, owning the house until his death in 1859. The first photo was taken sometime around the time when the younger John Hancock died, and it shows his granddaughter, Elizabeth Lowell Hancock Moriarty, standing on the second floor balcony. Despite being over a century old, the house still retained its stately elegance, and was recognized as an important landmark. There had been several different proposals for using the house, including the possibility of purchasing it as an official governor’s mansion. The family even offered the property to the state for the low price of $100,000, but many balked at the idea of such an expense, and the idea was dropped. The property was finally sold in 1863, with the intention of redeveloping it with modern townhouses. The state was offered one last chance to move the house to a new location, but again there was significantly opposition to the $12,000 expense, and the historic house was ultimately demolished in the summer of 1863. Had it survived, the house would have become one of the city’s iconic Revolutionary War landmarks, on par with such places as the Old State House, the Paul Revere House, and Old North Church. Instead, though, its demolition did help to spur preservation movements for some of these other landmarks, including the Old South Meeting House, which survived similar redevelopment threats a decade later. In 1865, two townhouses were built on the site of Hancock’s house. 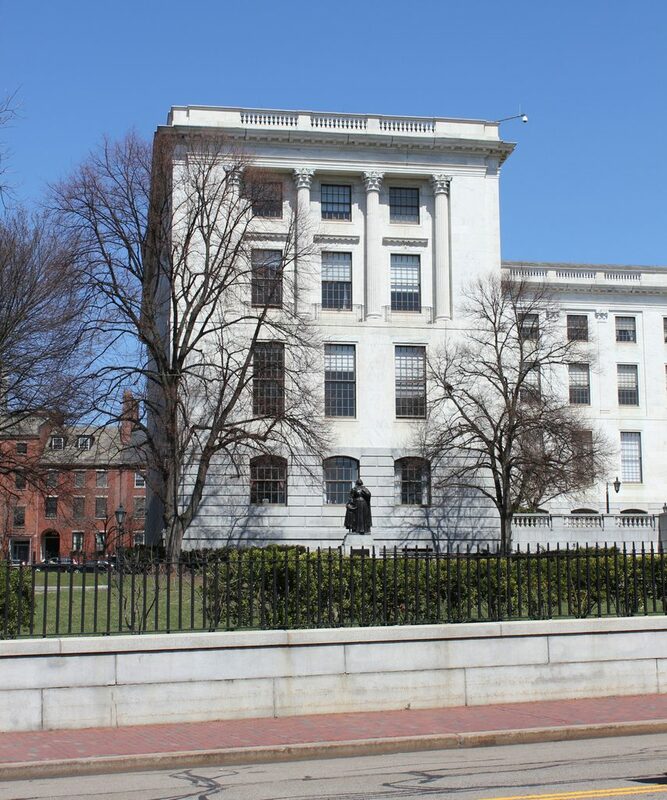 However, these houses did not last nearly as long as their predecessor, because in 1917 they were demolished to build a new wing of the Massachusetts State House. Since then, not much has changed. The 1798 state house, with its various additions over the years, remains in use as the state capitol building, and the surrounding Beacon Hill neighborhood is still home to many of Boston’s wealthy residents, nearly 300 years after Thomas Hancock first made his home here. 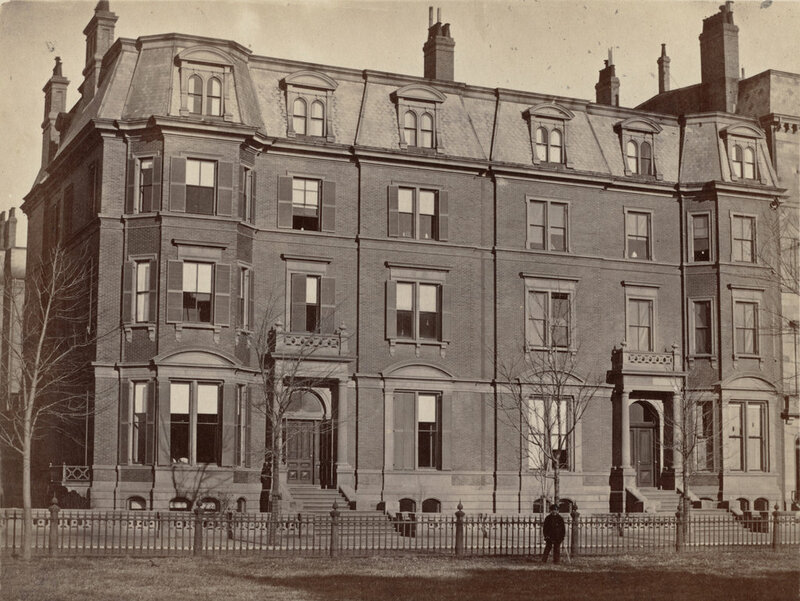 The houses at 1 Commonwealth Avenue and 12 Arlington Street in Boston, sometime in the 1870s. Image courtesy of the Boston Public Library. This building at the corner of Arlington Street and Commonwealth Avenue was actually built as two separate houses, starting with the house on the right at 12 Arlington Street. 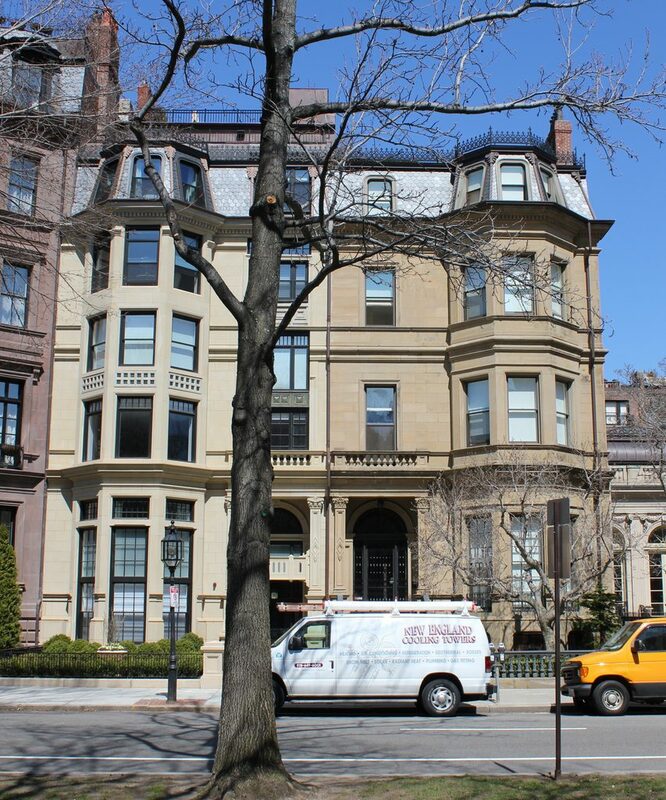 Located on the sunny north side of Commonwealth Avenue and directly opposite the Public Garden, this house occupies one of the most desirable locations in the entire Back Bay neighborhood. Completed in 1860, it was also among the first houses to be built in the new neighborhood, with the development starting here at the Public Garden and steadily working westward over the next few decades. It was originally owned by John D. Bates, a merchant who had paid $13,695 for the vacant lot in 1858, and subsequently had this elegant house built here. In the meantime, the slightly smaller lot at 1 Commonwealth was purchased by Samuel Gray Ward, who built his house here around 1861. Ward was a banker who worked as agent for the prominent Baring Brothers of London, and by the time he and his wife Anna moved into this house he was a very wealthy man. Aside from his career in international banking, though, Ward was also involved in the Transcendentalist movement of the mid-19th century. Although Transcendentalism is more associated with utopian communes and cabins at Walden Pond, rather than townhouses on Commonwealth Avenue, Ward was good friends with leaders in the movement, such as Ralph Waldo Emerson and Margaret Fuller. He even had several poems published in the literary magazine The Dial, although that was mostly the extent of career as a writer. Samuel and Anna Ward ended up living here for just a few years, because in 1865 they moved to New York City, where he went on to become one of the founders of the Metropolitan Museum of Art. That same year, the house was sold to Nicholas Reggio, an Italian merchant who lived here for two years until his death in 1867. His widow, Pamelia, was probably still living here when the first photo was taken, but in the late 1870s the house was sold again, to cotton merchant James Amory. He likewise only lived here for a few years before his death, and his family sold the house in 1892. Like its neighbor, the house at 12 Arlington also changed hands several times in only a short period of time. John Bates died overseas in 1863, and five years later the property was sold to merchant William H. Bordman, who in turn sold it five months later to Nathan Matthews. A real estate developer, Matthews served as the president of the Boston Water Power Company from 1860 to 1870, and in that capacity he was involved in the filling of the Back Bay. He was also a philanthropist, and his contributions included Matthews Hall, a Harvard dormitory that was completed in 1872 and still bears his name today. Matthews apparently ran into financial trouble, perhaps caused by the Panic of 1873, because in 1876 he sold the house to two of his creditors. The following year, they sold the house to another real estate investor, Joshua Montgomery Sears. Born in 1854, Sears was an orphan by the age of two, but he inherited a sizable fortune from his father, Joshua Sears, who had been a wealthy merchant. This inheritance was held in a trust during his childhood, gaining interest for 20 years, so by the time he graduated from Yale at the age of 22, he was already one of the wealthiest men in Boston, with a fortune purported to be worth $7 million. In 1877, the same year as his graduation, he married Sarah Choate, a 19-year-old aspiring artist whose father, Charles F. Choate, was the president of the Old Colony Railroad. Sears purchased this house for her as a wedding gift, paying Matthews’s creditors the princely sum of $110,000 for the property. 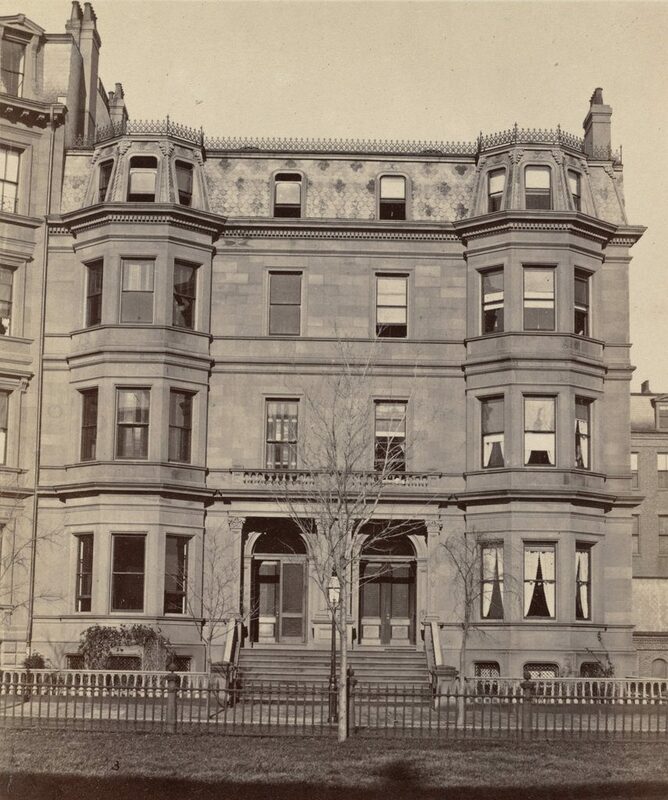 The purchase was just for the house at 12 Arlington, but in 1892 he bought the adjoining house at 1 Commonwealth and combined the two homes, removing the Commonwealth Avenue entrance in the process. Along with this, he also owned a country estate in Southborough, the 1,000-acre Wolf Pen Farm. Joshua Sears went on to have a successful career as a businessman, but it was his wife Sarah who went on to achieve far more lasting fame. A patron of the arts, Sarah commissioned portraits by artists such as John Singer Sargent and Mary Cassatt, and also purchased paintings from leading European artists, including Degas, Manet, Cézanne, and Matisse. However, she was also a successful artist and photographer in her own right, and exhibited her work at many of the major world’s fairs in the 1890s and early 1900s. Joshua died from pancreatic cancer in 1905 at the age of 50, but Sarah outlived him by more than 30 years, and owned this house until her death in 1935. In the following years, this house was put to a variety of uses. During World War II, it was a club for officers in the Army and Navy, and after the war it was purchased by the Boston Archdiocese and used as a school and convent. In 1966, it was converted into offices, and was eventually owned by Sears, Roebuck & Company (no relation to the building’s former owner). Most recently, in the mid-1990s, the building was converted back into residential use, and it is now divided into nine condominium units. For more detailed historical information about this house, see the house’s page on the Back Bay Houses website. The houses at 3 and 5 Commonwealth Avenue in Boston, sometime in the 1870s. Image courtesy of the Boston Public Library. Like the neighboring homes at 7-9 Commonwealth, these houses here were completed around 1861, and were among the first to be built in the new Back Bay development. 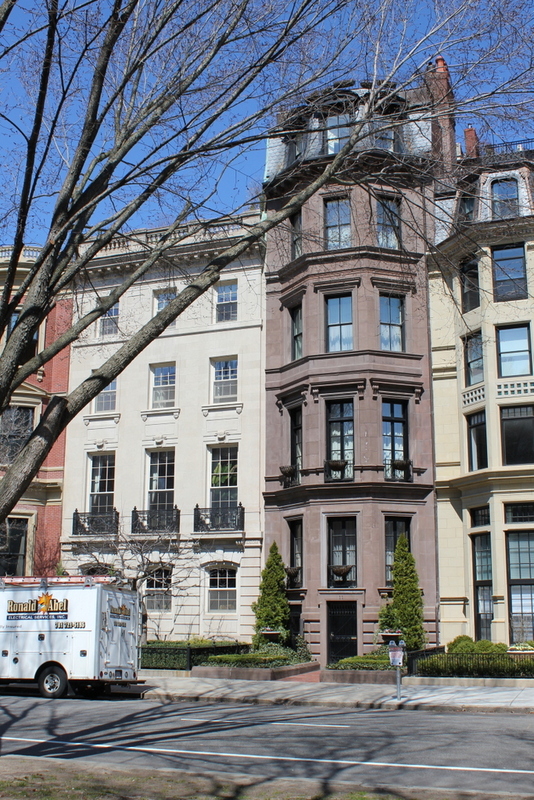 The entire neighborhood was designed to attract Boston’s upper class, but these houses occupy a particularly prime location, on the sunny north side of Commonwealth Avenue and just up the street from the Public Garden. 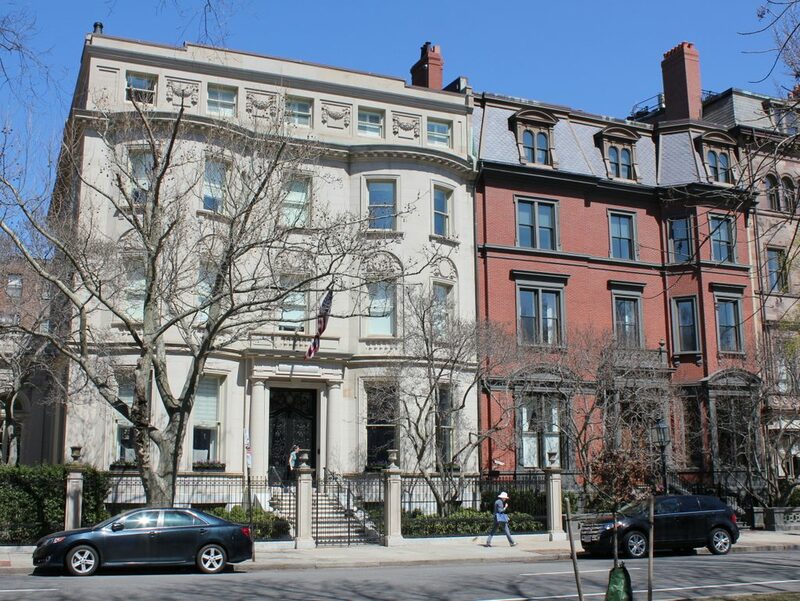 Built as a symmetrical pair, they were originally owned by two siblings, with Abbott Lawrence and his wife Harriette on the left at 5 Commonwealth, and Abbott’s sister Annie and her husband Benjamin Rotch in 3 Commonwealth on the right. Abbott and Annie were children of Abbott Lawrence, Sr., a textile manufacturer and namesake of the city of Lawrence, Massachusetts. He was also a Congressman in the 1830s, and he later became the minister to the United Kingdom, serving from 1849 to 1852. His children moved into these houses about six years after his death in 1855, and the younger Abbott followed in his father’s footsteps as a textile manufacturer. Annie’s husband, Benjamin Rotch, was also an industrialist, and had been one of the founders of the New England Cordage Company in New Bedford. This ropemaking company was founded in 1842, and originally supplied rope for whaling ships. By the time he and Annie moved into this house, the whaling industry was in sharp decline, but his company remained profitable, manufacturing rope for textile mills, salt mines, and oil wells, among a variety of other uses. Both families were living in these houses when he first photo was taken, and they remained here for many years afterward. Benjamin died in 1882, but Annie remained in the house on the right until her death in 1893, the same year as her brother Abbott. Abbott’s house on the left was owned by Harriette until her death a decade later, and the house was subsequently sold. In 1905, the house was rebuilt with a Classical Revival-style design that was common for Back Bay homes of the early 20th century. These houses have since gone through a variety of owners and uses over the years. On the left, 5 Commonwealth was a single-family home until the 1940s, when it was sold to the Boston Center for Adult Education. This organization owned the property until 2009, and the house has since been converted back into a single-family home. In the meantime, for most of the 20th century the house on the right was owned by the prominent Ames family, who leased it to the French consulate from 1961 to 1995. The house was then converted into five condominium units, but it is otherwise unchanged from the exterior, providing a sharp contrast to the heavily altered exterior of the house on the left. For more detailed historical information on these houses, see the Back Bay Houses website for 3 and 5 Commonwealth. The houses at 7 and 9 Commonwealth Avenue in Boston, sometime in the 1870s. Image courtesy of the Boston Public Library. These two houses, built around 1861, were among the first in the city’s new Back Bay neighborhood. Like many other homes in the area, they were built as a symmetrical pair, with identical Second Empire-style architecture. 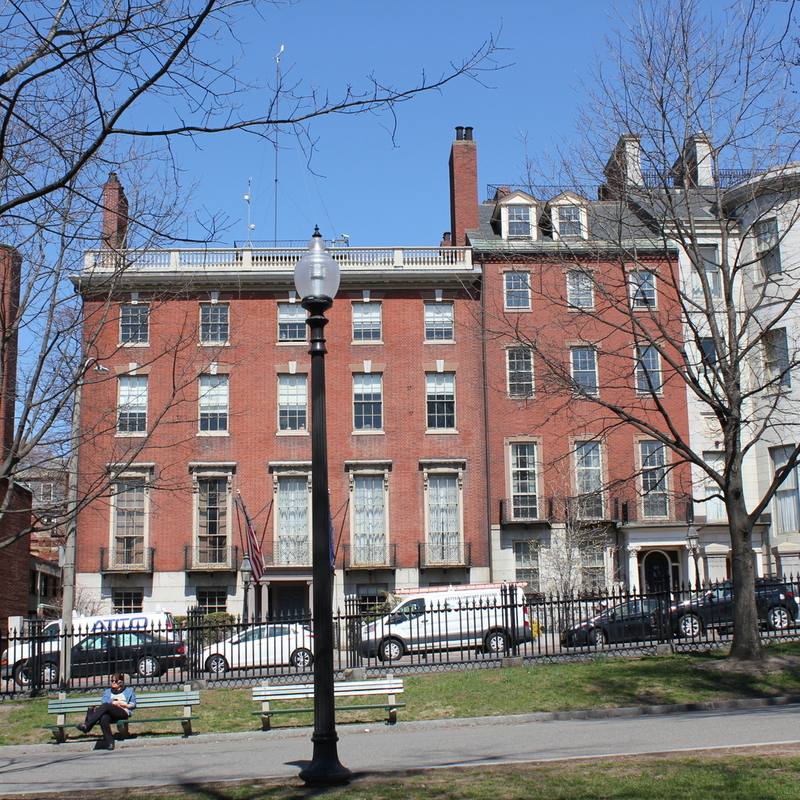 The development of the Back Bay was intended to provide an upscale neighborhood for Boston’s upper class, in an effort to encourage them to remain in the city instead of leaving for the suburbs. The plan worked well, and many of the city’s wealthy residents soon made their way to new homes here, including dry goods merchants Richard Cranch Greenleaf and Samuel Johnson, Jr., who purchased these two properties. Greenleaf lived in the house on the left at 9 Commonwealth, and Johnson lived in the one to the right, at 7 Commonwealth. Both men were partners in the C.F. Hovey department store, which was located on Summer Street in the present-day Downtown Crossing shopping district. 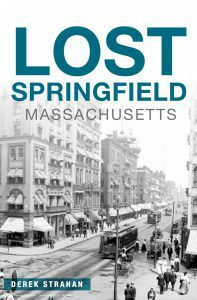 The store was destroyed in the Great Boston Fire of 1872, but they soon rebuilt it, and the company remained in business until 1947, when it was purchased by Jordan Marsh. During this time, Richard Greenleaf and his wife Mary lived here with their son, Richard Jr., for a little less than a decade, before selling the house in 1870. However, Samuel Johnson and his wife, also named Mary, lived here for the rest of their lives, until her death in 1891 and his in 1898. After the Greenleafs sold the house on the left, it was purchased by Otis and Lucy Norcross. A member of the prominent Norcross family, Otis was a merchant who imported crockery, pottery, glass, and earthenware. His company, Otis Norcross & Co., became one of the nation’s leading importers of such goods, and he also went on to have a successful political career, serving a term as the chairman of the board of alderman and another term as the mayor of Boston. He died in 1882, but Lucy continued to live here in this house until her death in 1916 at the age of 99, after having outlived five of her eight children. One of the surviving Norcross children, their son Grenville, inherited 9 Commonwealth from his mother and owned it for the next two decades, until his death in 1937. That same year, the house was sold and converted into a 13-unit apartment building. The entire exterior was remodeled, and the original brownstone was replaced with light-colored stone on the lower third and brick on the upper two-thirds of the building. Along with this, two additional floors were added to the building to accommodate the new apartment units, and the front entrance was moved down to the ground floor. 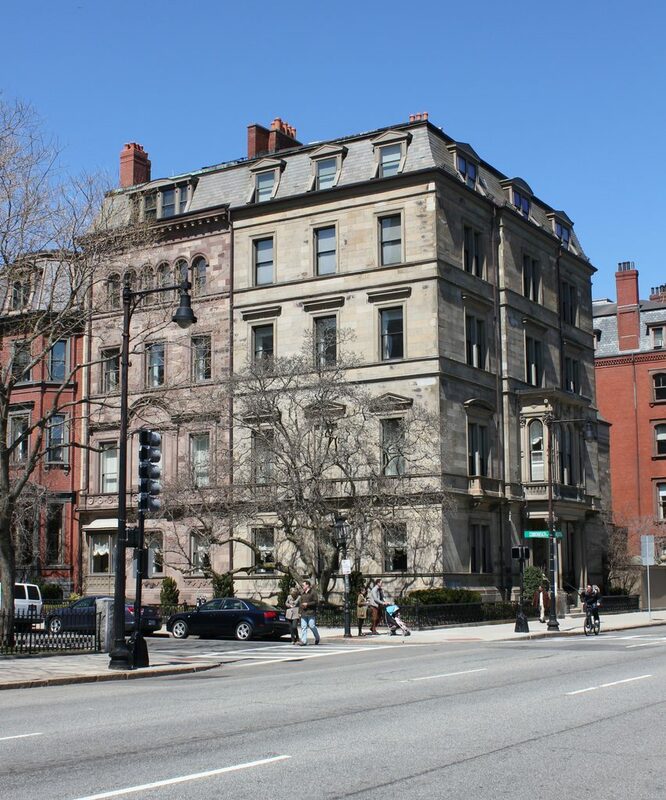 In the meantime, 7 Commonwealth on the right side continued to be used as a single-family home for many years, with owners who included Mary Frothingham, the widow of former Lieutenant Governor and Congressman Louis A. Frothingham. She moved into this house in 1928, a few months after her husband’s death, and she lived here for more than 25 years, until her death in 1955. Like the house to the left, her house also became an apartment building, with 12 units, although the renovations were far less drastic than next door. The house would remain an apartment building for about 50 years, but in 2007 it was sold and converted back into a single-family home. Today, 7 Commonwealth looks essentially the same as it did when the first photo was taken nearly 150 years ago, and 9 Commonwealth looks better than it used to. In 2013, it underwent another major renovation, which converted the 13 apartments into five condominiums. In the process, the 1930s exterior was replaced with a design that better matches its original appearance. Because of the two additional stories that had been added during the first renovation, the house is still not symmetrical with 7 Commonwealth, but today it is far more historically accurate than it had been for the previous 75 years. For more detailed historical information on these houses, see the Back Bay Houses website for 7 and 9 Commonwealth. The houses at 11 and 13 Commonwealth Avenue in Boston, sometime in the 1870s. Image courtesy of the Boston Public Library. 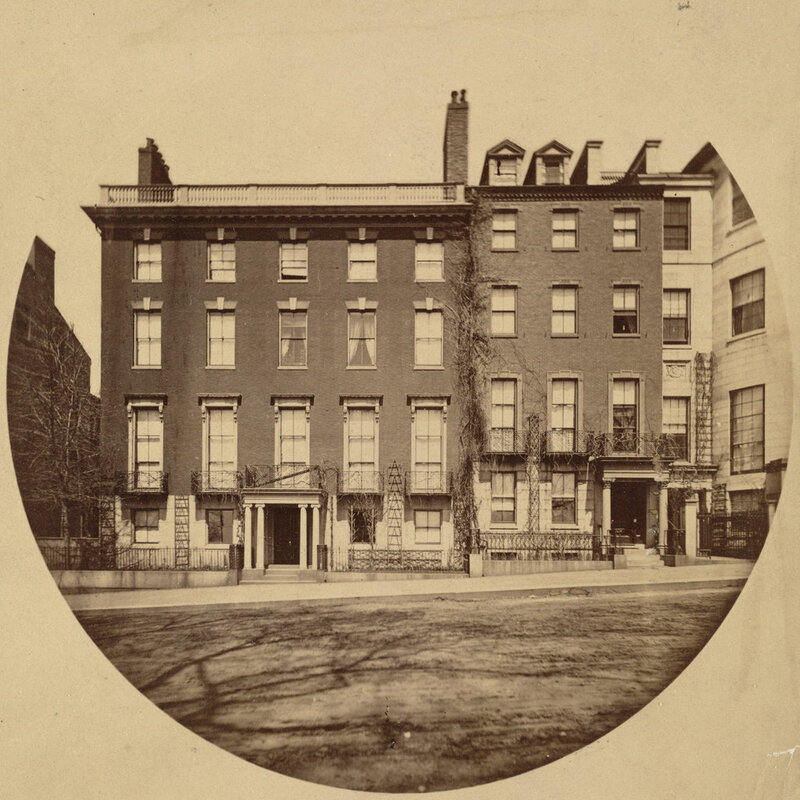 This lot in the Back Bay was purchased in 1860 by Frederick Hall Bradlee, a merchant whose father, Josiah Bradlee, had established the prosperous firm of Josiah Bradlee & Co. 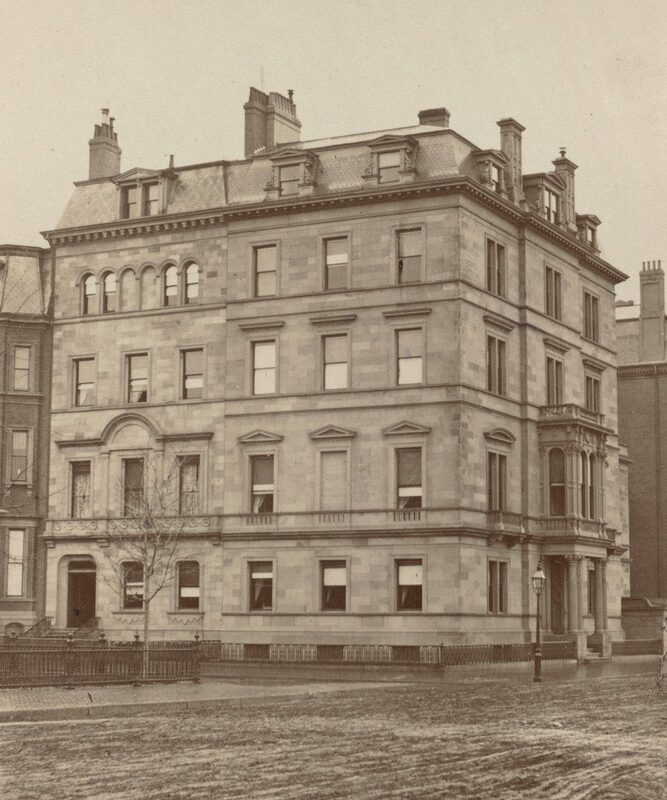 In 1846, the firm had been described as “one of the wealthiest commission houses in the city,” and Josiah had an estimated net worth of $500,000, equal to about $13.5 million today. Frederick was similarly wealthy, with a fortune of about $300,000 in 1846, and at the time he lived on Tremont Street with his wife Lucretia. 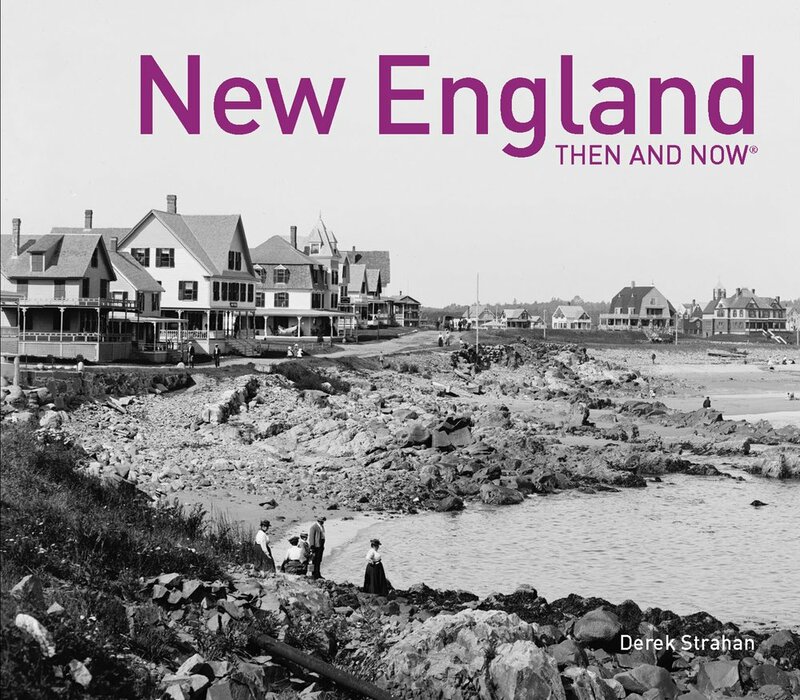 However, in the 1860s they joined the many wealthy Bostonians who were relocating to the fashionable Back Bay neighborhood, which was just starting to be developed. Frederick Bradlee did not actually start building on this lot until later in the decade, when he hired architect Nathaniel J. Bradlee (no direct relation) to design two homes here. The two houses match, with very similar Second Empire-style architecture, but they do not form a symmetrical pair. The one on the left, at 13 Commonwealth, is slightly wider, while the narrower 11 Commonwealth is one story taller. Both houses were completed around 1868, and Frederick kept the wider one for himself and Lucretia, while selling 11 Commonwealth to his daughter Elizabeth and her husband, Henry Ward Abbott. 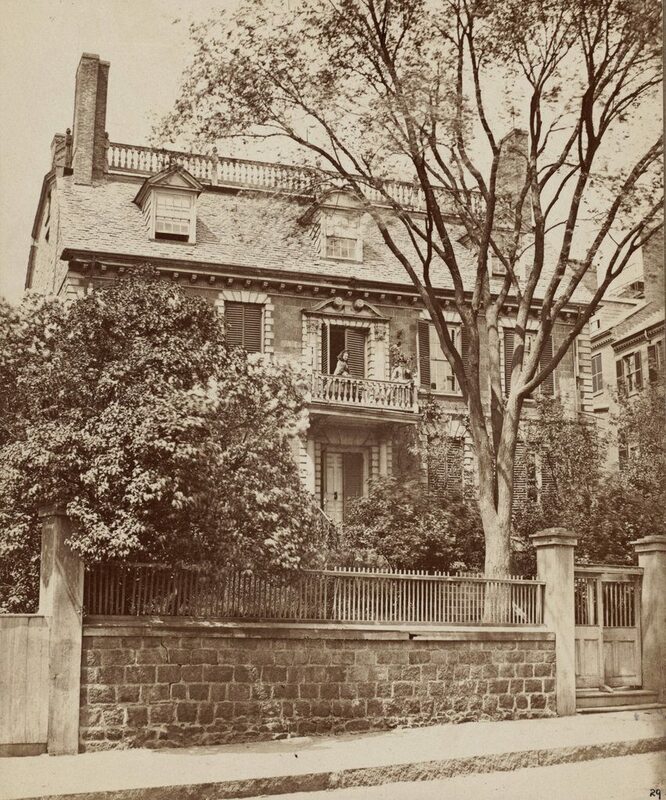 Frederick lived here in this house for about 20 years, until his death in 1888, and 13 Commonwealth was sold soon after, to Martha Codman, the widow of artist John Amory Codman. Some of Frederick’s descendants would go on to achieve prominence, though, including his grandson, Frederick J. Bradlee Jr., who was an All-American football player at Harvard in the early 20th century. The younger Frederick’s son, Ben, was born in 1921, and went on to become the longtime editor of the Washington Post, where he played a major role in exposing the Watergate Scandal. In the meantime, the house at 13 Commonwealth was sold in 1907 to Anna Nowell, the daughter of former governor Oliver Ames and a cousin of another Oliver Ames, who lived in the house on the far left at 15 Commonwealth. She and her husband George had the house demolished, and they hired the architectural firm of Parker, Thomas & Rice to design a replacement, with a Classical Revival style that matched the architectural tastes of the period. As part of this project, the front steps and porch of the neighboring 11 Commonwealth also had to be removed, and a new entrance was added to the ground floor. Since the early 20th century, both houses have gone through a variety of owners. On the right, 11 Commonwealth has remained a single-family home, and aside from the removal of the old entrance very little has changed in the building’s appearance. The house at 13 Commonwealth was a single-family home until the 1940s, when it was converted into medical offices on the lower floor and apartments on the upper floors. Some of the offices were later converted into additional apartments, but in 2000 the entire building was restored, and it is now a single-family home again. For more detailed historical information on these houses, see the Back Bay Houses website for 11 and 13 Commonwealth.